Spotify has repeatedly been accused of not being fair with singers. In fact it was much played the controversial Taylor Swift and music streaming service when it decided to eliminate all his music platform. Well, if you’ve ever wondered how much you earn an artist for his songs on Spotify, we will solve this doubt. The guys Omicrono have decided to collect public data the company itself and have been compared to those issued by an independent artist on Reddit to solve the mystery. The first thing we say is that it is a resounding theme, and there are many nuances that must be taken into account. In fact, the controversy is likely to continue for this reason. 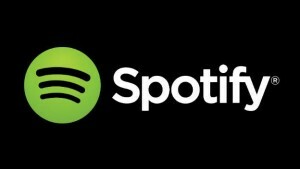 For starters, the data published by Spotify we can conclude that an artist earns $ 0.001128 each time a user plays each of its tracks. Thus we can deduce that if a disc is played 10 songs 1000 times, the artist would earn $ 11.28 in Spotify. However, things are not so simple, because the company does not pay for the number of times a song is played. And, in addition, must take into account how the singer and the record is divided the money, the amount of Premium users playing the song, the country from which you hear, the local currency, and many others … factors. Currently, 70% of the income generated by a song in the musical service are what owners of intellectual rights. A high percentage they take the record, and the rest remains at 15% for the dealer and 15% for Spotify. For that reason and, paradoxically, an independent artist can earn more than a top sales Spotify. You see, knowing how much he makes an artist in Spotify it is not a simple task. Therefore, the user of Reddit Sir Sparrow has decided to reveal some more information on this subject. He claims to be an independent artist, and published data said to be their own. His final conclusion is that to earn the same as with the sale of an album in iTunes should be played between 200 and 600 times. The user ensures that your earnings are between 4.5 and 7 dollars per album sold on iTunes, after the amounts that go to the Apple dealer or detract. This is summarized in the little amount of money the artist eventually leads. But then, why does the music industry in Spotify? Because that is still profitable and still the most popular music service estreaming today.